Thanks to everyone who popped along, whether it was for one drink, or for the crazy night that went on until the morning. You guys all made it a great party. Thanks to Lali for an amazing cake and for everyone who brought baking (Paula, Laura and Kim). Thanks to Source water for supplying some of their specific water for the night. Big thanks to Old Worthy. Everyone really enjoyed the beer, paired it with several whiskies and finished every bottle. We were all worthies for the night. 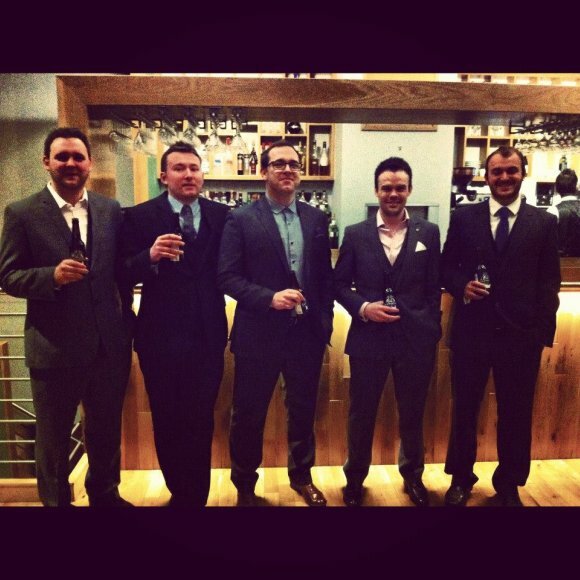 Massive thanks to Michael Neave’s restaurant and whisky bar for a fantastic night. Venue was amazing, cocktails/drinks were brilliant and the food was top notch. Nose: Wood smoke, moss, tiniest meatiness, new wood, varnish, lots of leather, earthy and a hint of dark chocolate. Tiniest note of mustiness and a mince pie note. This nose has a lot of character, guts and strength. The tiny notes of mustiness and meatiness might put some people off, but I think they work well with the earthiness and chocolate. Palate: Oakiness, spicy and nutty. Slight hint of pears, apples, marzipan and blackcurrant notes around the smoke. Finish: A very nutty, dark chocolate bar on the finish. Nose: Estery, pear drops, tangerines, slight woodiness, pears and blackcurrant. Slight hints of resin, which show its age. Complex, with lots of different layers. Palate: Juicy, spicy, slight sour beer note. 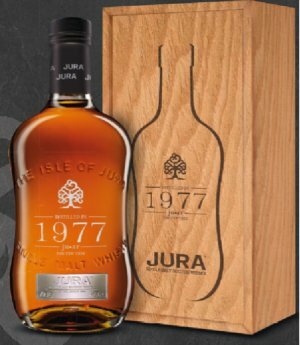 A really characterful whisky, with punch, oakiness, apricots, gooseberry, marzipan, spice and much more. It takes a while to open up, but since it has taken 36 years to make, you should give it the time to reveal itself. When it opens up, it is very tasty. Finish: Slight hint of tannin on the finish, lemon and ginger tea and more of the apricots. Both cracking whiskies. 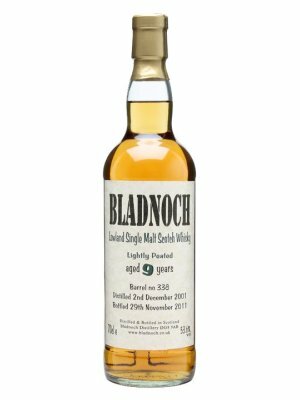 The Bladnoch has that youthful, in your face attitude. Here’s the flavour, get on with it. The Jura takes time, but it’s worth sitting down and getting to know it. Ideally with a whole bottle, a good friend and an open fire. Thanks for the gifts folks. I have one more gift to get to, but this whisky will require some very special ice cream. It is an unusual Bowmore, courtesy of Rachel Barrie, the Lady Blender. You will hear more soon. This entry was posted	on Thursday, February 14th, 2013 at 11:35 am	and is filed under Reviews. You can follow any responses to this entry through the RSS 2.0 feed. Responses are currently closed, but you can trackback from your own site.